RAPID CHARGING : To fulfill the high-power demands of beefy modern smartphones and tablets power-pro comes with two USB ports with 2.4A Max output, which can charge your devices (smartphones/tablets/speakers/cameras, etc) at the fastest speed possible speed. UNIVERSAL COMPATIBILITY : Power-pro efficiently charges any device supporting USB cable charge, be it your iphone/ipad/ipod/Android smartphones/GPS unit/portable speakers/Cameras/smartwatch and what not! THE AMKETTE ADVANTAGE : HASSLE FREE 1 YEAR WARRANTY from a company that has valued CUSTOMERS for over 30 YEARS. So buy with confidence, when you buy with Amkette. Amkette Power Pro Dual Port USB Wall charger promises a rapid yet safe charging for your Android / iOS smartphones and tablets. 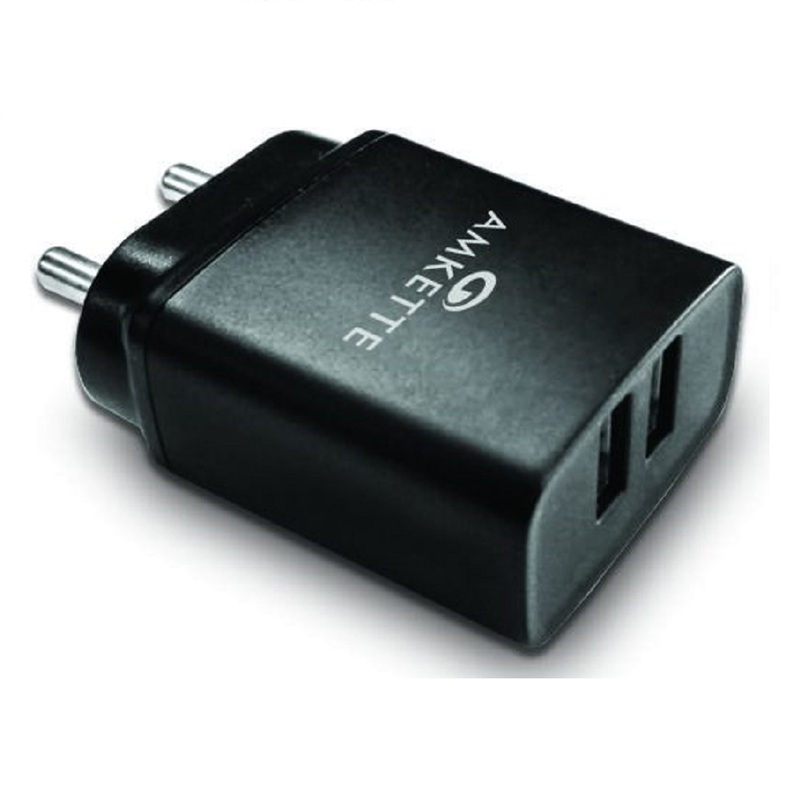 The USB wall charger has inbuilt circuit for Overcharge, Overheating, and Short circuit protection. The product is BIS approved which means it has been designed for Indian sockets and charging needs.